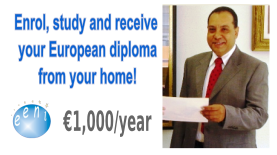 Syllabus of the Online Course (Subject): European Union-Mexico Free Trade Agreement (FTA). In 2000, the Free Trade Agreement between the European Union (EU) and the United Mexican States entered into force. Mexico ranks 21th among the trade partners of the European Union and the eighteenth between its export partners. 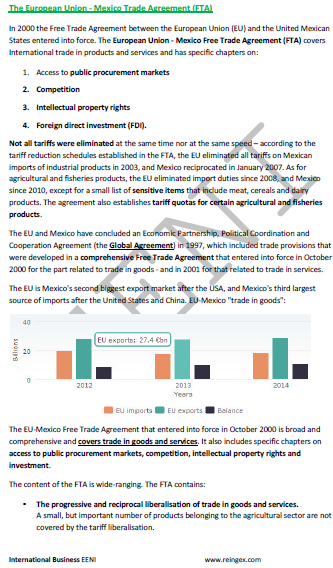 The European Union is the second-largest Mexican export market after the United States and the third largest source of imports after the United States and China. 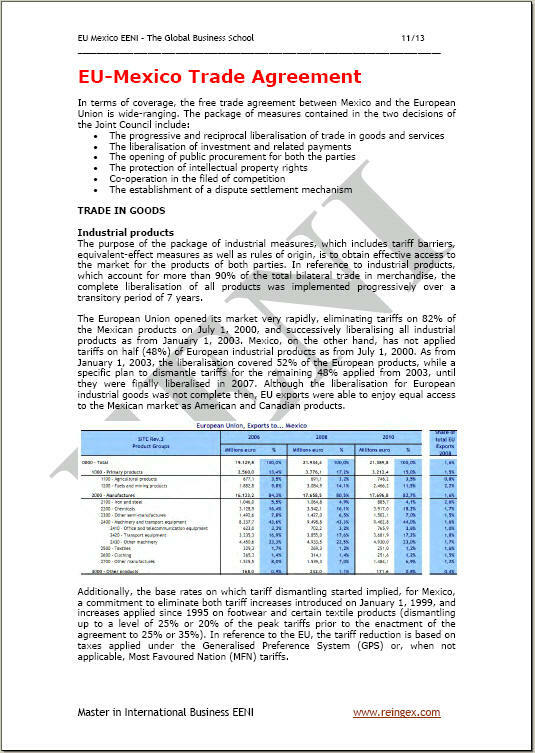 7,000 Mexican companies have received foreign direct investment (FDI) from the European Union; there is participation by European investors in 22% of all the firms in the United Mexican States that have received Foreign direct investment (FDI).